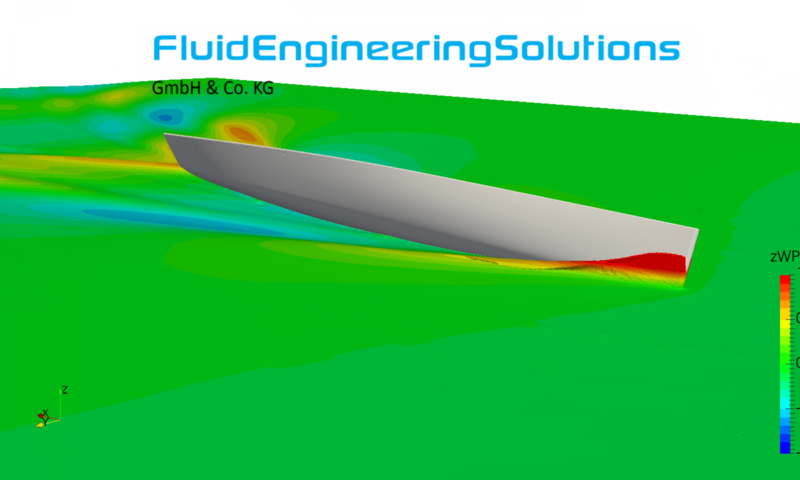 FluidEngineeringSolutions has been contracted by the Yacht Research Unit Kiel to couple the YRU-Kiel’s in-house membrane FEA code – FlexSail – to the RANS code OpenFOAM. Watch this space for further information. Together with the designers – Berckemeyer Yacht Design – we optimised the hullform of a 70ft fast motor-sailing yacht for optimum cruising efficiency. Further we investigated the probability of seasickness (Motion Sickness Indicator MSI) and effect of weight distribution thereon.